Click image to magnify. 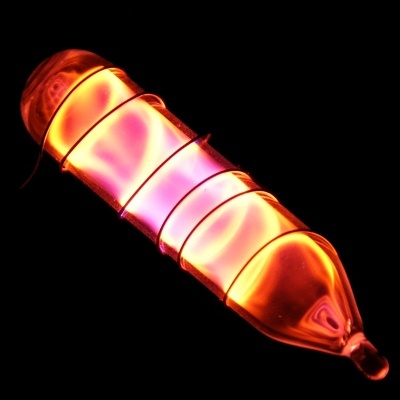 Vial of glowing ultrapure neon. Original size in cm: 1 x 5. 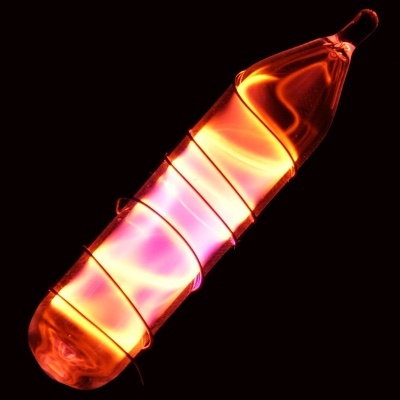 How to make gases glow. 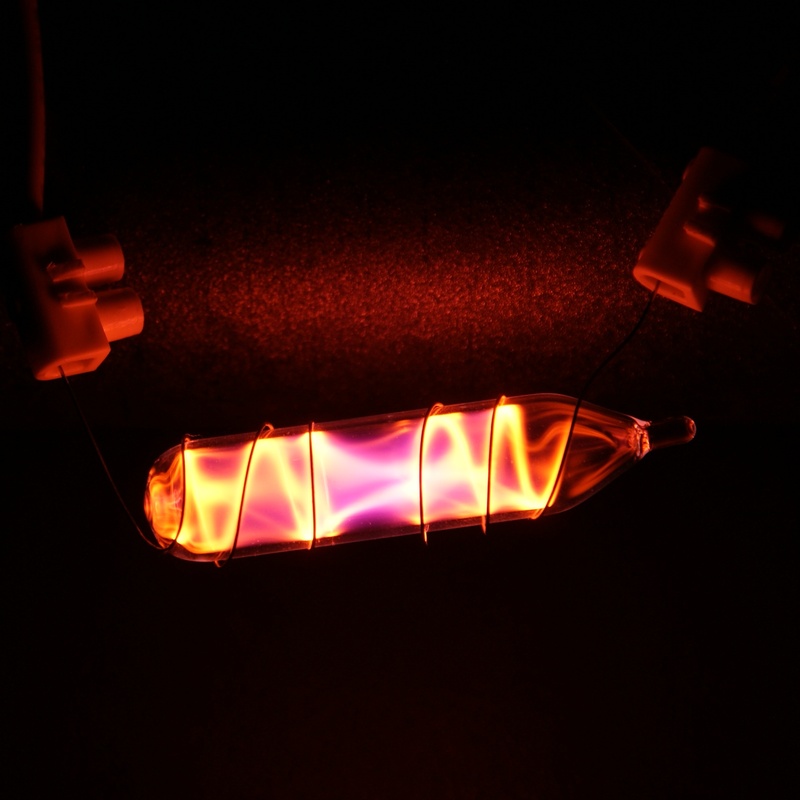 Neon is very rare on earth, but quite abundant in space. It is about one third lighter than air and is the most noble, inert element. No neon compound could be produced so far. It is mainly used for light sources, as it glows in a characteristic reddish-orange light.